The Celestron 48012 is 2-in-1 device which stays warm on the trail and keep your portable electronic devices fully charged with the ThermoCharge power pack and hand warmer. 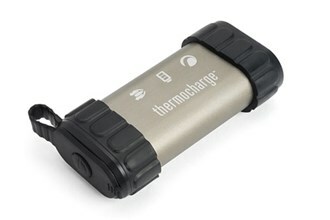 ThermoCharge heats up quickly and reaches a maximum of 113 degrees Fahrenheit (45 degrees Celsius). The 4400 mAh rechargeable lithium battery provides up to an impressive 6 hours of continuous heat on a full charge. 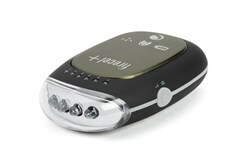 ThermoCharge delivers a full charge most smart phones, MP3 players, cameras and many other USB-powered devices. Unlike single-use chemical hand warmers, ThermoCharge is safe, scent-free and rechargeable. Just plug it into any USB charging port. 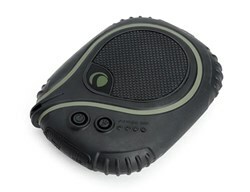 A rugged aluminum housing and protective silicone caps make ThermoCharge perfect for your next cold-weather excursion. 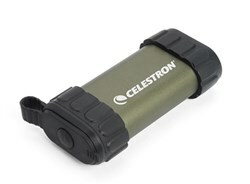 The Celestron Elements ThermoCharge has many exciting features for users of all types. You can extend the lifetime of your Celestron Elements ThermoCharge with the purchase of a FactoryOutletStore Factory Protection Plan. 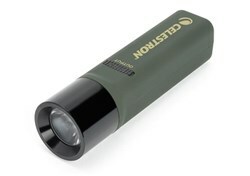 See the Celestron Elements ThermoCharge product video and gallery images above for more details. FactoryOutletStore stocks a full line of accessories like 2-in-1 Device, 3-in-1 Device, and 8x21 Binocular for the Celestron Elements ThermoCharge. The Celestron Elements ThermoCharge is sold as a Brand New Unopened Item.